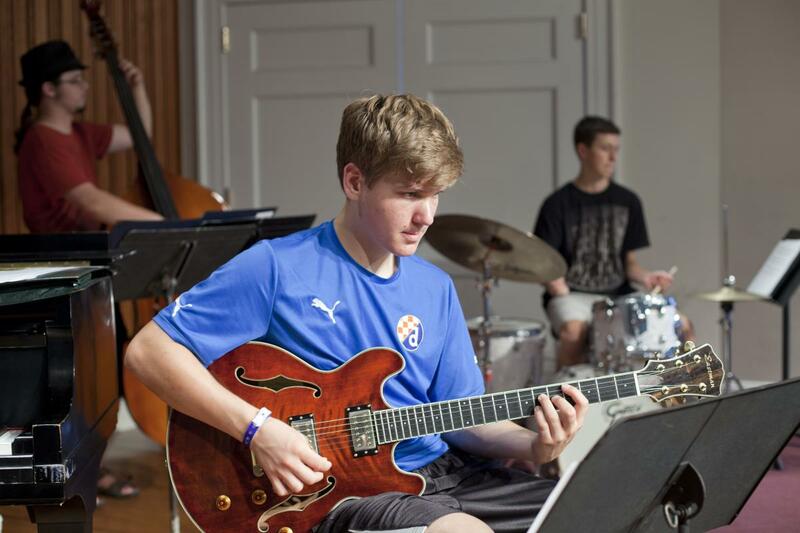 The Rutgers Youth Jazz Ensemble is open to serious musicians ages 11-18 by audition only. The RYJE performs in small and large-group settings on and off campus. Participants are challenged to grow in new directions during rehearsals that incorporate ear training, jazz theory, and advanced concepts in jazz improvisation. Day & Time: Tuesdays, 6:30-8:30 p.m. Makeup Dates: Skip dates may be used as makeup dates, facilities permitting. Continuing students in the Rutgers Youth Jazz Ensemble are invited to re-register without audition. Registration online is found here. All newcomers to the ensemble should audition via video, or in-person prior to registering (the free workshop/audition opportunity immediately below is the only scheduled opportunity for potential students to audition in-person). Please complete the online form found here if you are new to the RYJE and wish to join this year. A video recording of repertoire shared via YouTube or another video host is required. The repertoire for each instrument is listed below. Any questions regarding the audition procedure, contact RYJE director David Miller. Please upload your audition video here. Notice of acceptance or non-acceptance will be provided by email. Accepted students register online HERE. Drummers will be asked to play swing, Latin rhythms, and solo fills.